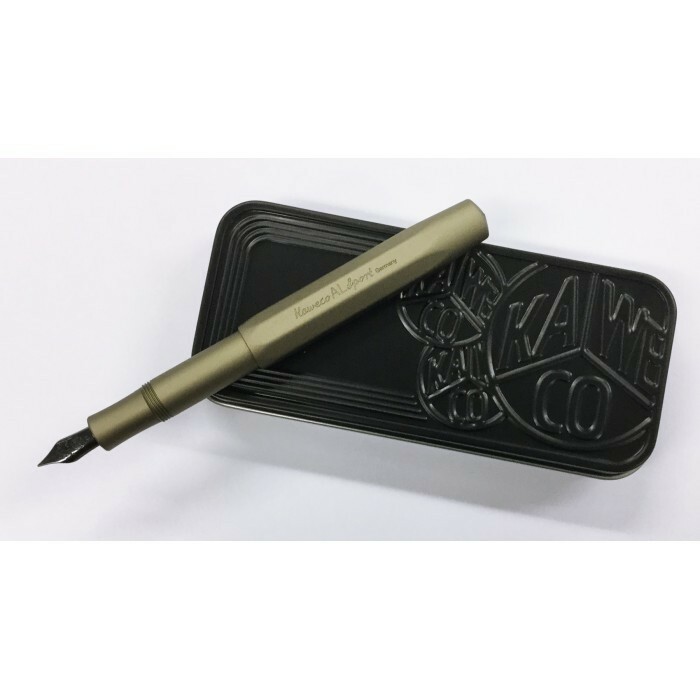 The Sport Series of the German Kaweco has proved its quality over the years. The design of this series of pens has hardly changed since 1935. 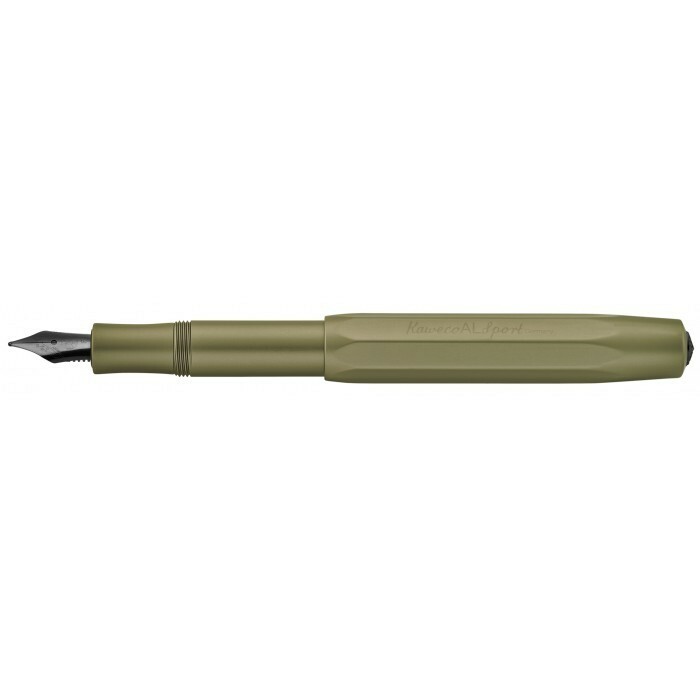 The kaki-green Sports Explorer fountain pen is a limited edition edition and only available at some shops in the Benelux. 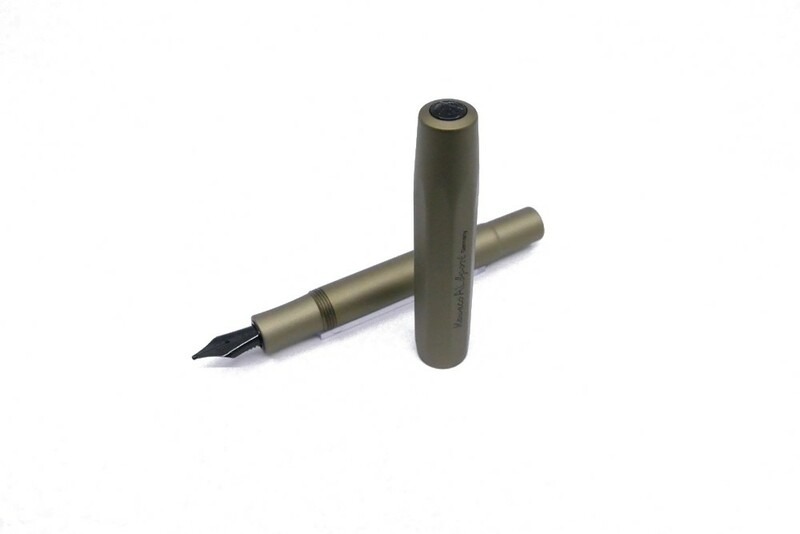 The pen has a carbon black steel nib coated with a "Diamond-like Carbon" layer and got its color through anodizing which makes it more resistant to scratches and bumps. Closed this fountain pen is only 10.5 cm long. With the cap screwed on top the pen is 13.5 cm long. 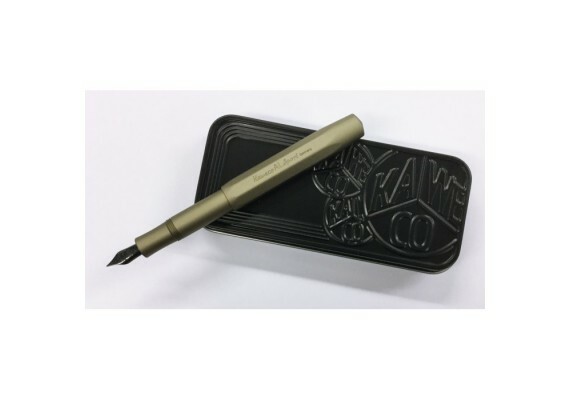 This fountain pen is made of aluminum.